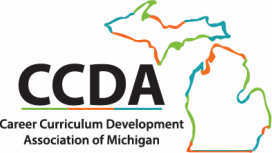 Step 1: Each teacher must enter his or her name into their ctenavigator.org account exactly as it is listed on their State of Michigan teaching certificate or Annual Occupational Authorizaion (AOA). The State will pull the teachers certification(s) from the Michigan Online Educator Certification System (MOECS). Step 2: (For non-certified teachers) For teachers that are annually authorized: be sure to mark "district holds annual authorization" as "yes" and enter the date that the annual authorization expires. For community college instructors who do not have a teaching certification: be sure to mark "Community college instructor" as "yes" and upload a copy of the notification letter. Step 3: Teachers with additional licensure or industry certifications must enter the type of certification, certification number and certification expiration date. These documents should be uploaded to Navigator. All licensures must be loaded as one document. All additional certifications must be loaded as one document. If teaching credentials do no match the name used on the school schedule, include a PDF document from the district personnel office stating that they have verified that these records are for the same person. See additional resources for this area under the resources tab.